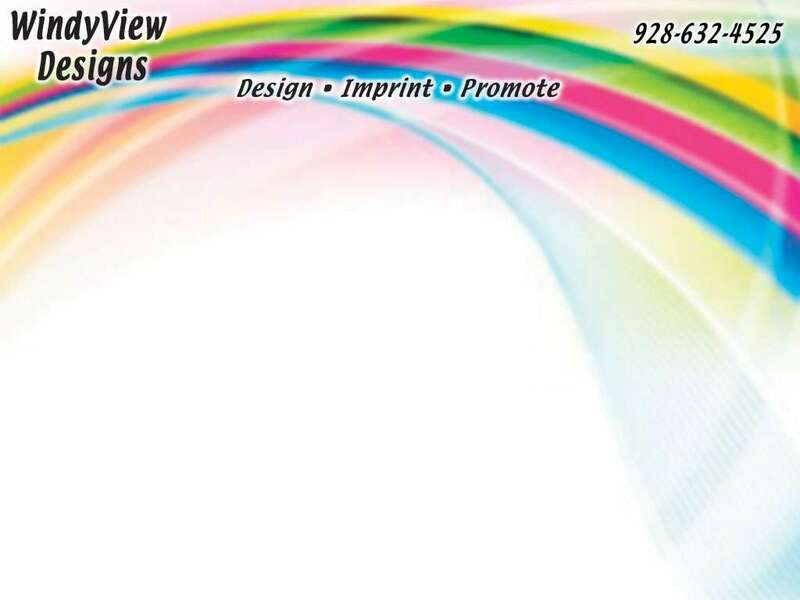 In the event that Windyview Designs is to imprint at the request of a buyer a likeness of a person, product, logotype, or any other device provided by the Buyer, Buyer hereby represents that said likeness is being produced with the knowledge and consent of the individual or entity having the rights thereto. On request of Windyview Designs, Buyer shall provide the company with evidence of authority to produce such likeness. Buyer agrees to hold Windyview Designs free and harmless from all liability and indemnify Windyview Designs for any loss, damage or injury, which Windyview Designs, may suffer as a result of producing said likeness. The obligation of the buyer shall extend to payment for all legal fees and other out-of-pocket costs incurred by Windyview Designs as a result of the reproduction of the likeness requested by the Buyer. All setup fees including art/design require 100% deposit. Screens remain the property of Windyview Designs. It is the customer's responsibility to ensure that the proof is correct in all areas. Please be sure to double-check spelling, grammar, layout and design before approving artwork. If a proof containing errors is approved by the customer, customer is responsible for payment of all original costs of printing (screens, setup charges, any substrates), including corrections and reprints. The customer is 100% responsible for approvals of Copyright, Trademark and Licensing Agreements of artwork. Customer's signature on artwork approval is contractually binding for payment of all services rendered. E-mail confirmation constitutes as electronic signature. All artwork must be approved by the customer with an authorized signature in writing or electronic before a job can be entered into production. Further Terms and conditions "Read Here"